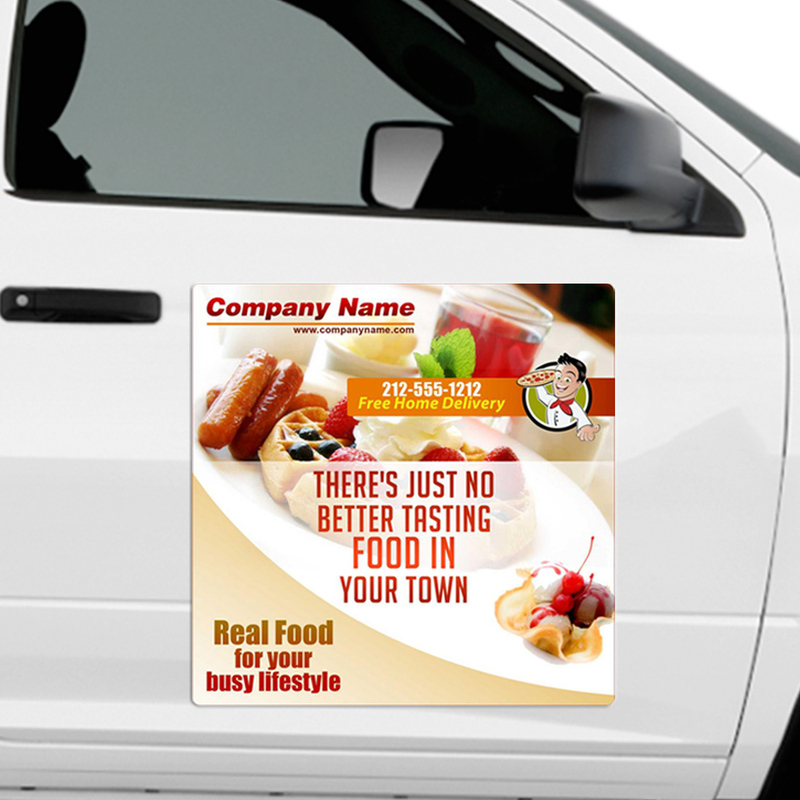 A 24 x 24 inch round corner car door magnets can be sought by advertisers who wish that their advertisements should remain visible to large mass. Advertisers ordering it in large numbers have to pay lowest customization fee and also they can expect improved visibility and increased brand awareness. 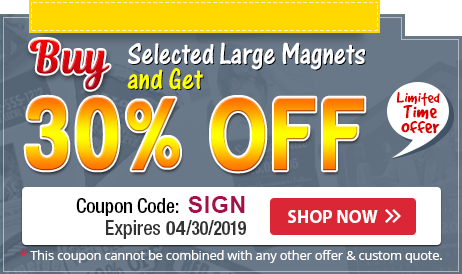 The round cornered side of the magnet gives it grip over the vehicular surfaces and makes it more reliable. Product Size: 24 in. x 24 in..